I am a big fan of Patrick Lencioni. Yes, his writing is sometimes a bit simplistic and repetitive. But therein also lays his genius. He takes very large organizational problems and breaks them down into categories we can understand and implement. In his latest book, Advantage: Why Organizational Health Trumps Everything Else in Business, Lencioni provides a lot of insight into how we can align the various pieces of our congregations. As a consultant, I am usually brought into a congregation to deal with a very specific problem. However, the problem is usually the result of the congregation’s overall system being out of alignment. For example, too much money may be devoted to music or education while other aspects of the congregation’s ministry are underfunded; or the congregation may have as an explicit focal point making the congregation more welcoming and yet, there is little evidence that anything is being done to align every part of the congregation’s life with that goal. A congregation with unaligned parts will produce as many uneven tread marks as an unaligned car. How does one bring the pieces of a congregation’s life into alignment? To begin with, there has to be clarity of purpose. Exactly what is the purpose(s) of the congregation’s life? Without a formal strategic plan, it is oftentimes hard to discern the intentionality of purpose that a congregation should possess. Strategic planning helps a congregation decide not only what it wants to do but what it can’t do at the present time. A strategic planning process should produce a couple of very clear things the congregation wants to do. It creates clarity of purpose. With its purpose clear, the next key issue for a congregation is creating a cohesive leadership team. By leadership team, I mean both the staff and lay governing board. They have to be on the same page. Recently, after a great planning process, I said to the congregation’s leadership: “Ok, from this point, everyone has to be on board. You may not like every aspect of this plan. But you voted for it. Now our job is to support the plan, unconditionally, and to provide the resources needed for the plan to be implemented. 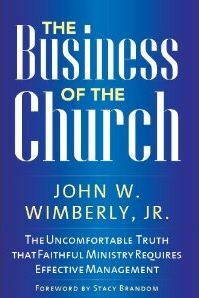 If people leave this room and start criticizing this or that part of the plan, it will undermine everything you have accomplished up until now.” A unified, cohesive leadership team is needed to pull all the unaligned parts of a congregation’s life into an effective, working whole. The third key to aligning the life and work of a congregation is to over-communicate clarity of purpose. Harvard Business School professor John Kotter writes that most organizations under-communicate their purpose by a factor of somewhere between ten and one hundred! There are lots of studies on the communications that come out of organizations to backup his numbers. Finally, organizations need to find ways to reinforce clarity of purpose. When a staff member does something that helps the congregation achieve its purpose, what happens? Is there public acknowledgement? Is the good work recognized in next year’s salary? 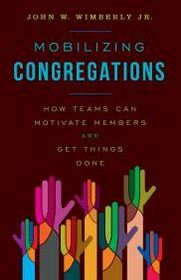 The same can be asked of what happens when a committee or team does great work realizing the congregation’s purpose. Is the team/committee’s work lifted up in worship or in some other highly visible manner? If our congregation’s work and life seems to be flying in too many directions with the parts pulling at each other rather than pulling together, it is time to work on aligning everything to one driving purpose. We cannot be all things to all people. We have to demonstrate a discipline of purpose that marks the lives of great individuals and stellar organizations. This entry was posted in congregation and tagged alignment, congregations, pastors, rabbis, strategic planning. Bookmark the permalink.